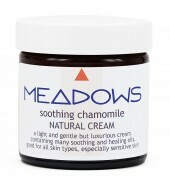 All the creams in our Meadows range are rich, soothing, moisturising and nourishing and have been blended to cater for all different skin types (eg, dry, sensitive, mature, problem, normal). 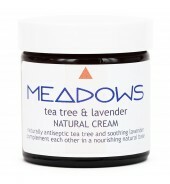 Our creams are free from artificial fragrances. The fragrances/perfumes used in our creams are 100% natural and do not contain synthetic ingredients, such as phalates and musk compounds - see the Greenpeace website (www.greenpeace.org/international/) for more information on the dangers of these ingredients. The essential oils used in our creams are chosen firstly for their therapeutic properties and then for their fragrance, which only comes from these natural oils. We use only pure (organic where possible) high quality essential oils and absolutes. Our creams are very rich and moisturizing as we include a very high natural vegetable/nut oil content and do not use artificial stabilisers or thickeners to cheapen a product. Some cosmetic producers use less oil but still make the creams look and feel thick and rich by the use of these artificial ingredients. 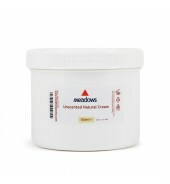 This gives the user the impression that they are applying a deeply moisturizing cream when, in fact, the thickness of the cream that actually penetrates the skin (once the artificial thickeners have broken down) is usually of a lesser/thinner quality. 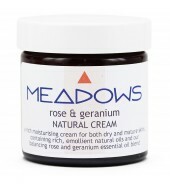 If you find our creams are too rich, just use a little less or dilute it in your hand with a little water. We are often fussy about what we eat, but less fussy about the products we use on our skin (but remember body products such as creams are taken into the body too when they are absorbed through the skin). Most commercial products (ie, made by large multi-national companies) use mineral oil as the main ingredient in creams and lotions as it’s cheap (it’s from crude oil - a paraffin oil fraction) and adds to the shelf life of a product, which is a positive in one way but also means that it is less likely to be broken down in nature or by your body. Mineral oil (which will be listed as paraffinum liquidum) is often the main ingredient after water in so many cosmetics. but can you imagine ingesting this product? Or maybe cooking with it, or adding it to a salad dressing? We wouldn’t accept this but so many people are happy to let this synthetic product into their bodies (when using body products) without even thinking about it. We believe that you should only add natural oils to products that are there to benefit the body. Parabens: No parabens are used in our products. Our preservatives (which make up less than 1% of the product) are synthetic but are classed as nature identical and are used within the food and drinks industry. 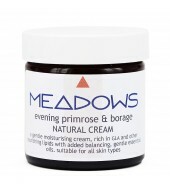 Glycerine: Our creams are glycerine free - we prefer the moisturising qualities to come from natural vegetable oils. 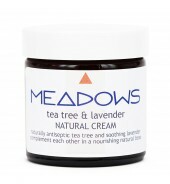 Animal Ingredients: There are no animal derived ingredients within our creams. 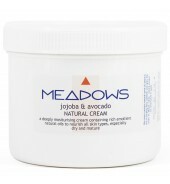 The products are classed as vegan and are free from any unpleasant tallow or animal fat derived moisturising ingredients. Synthetic Colours: There are very few stable natural colours for cosmetics, especially blues and reds. 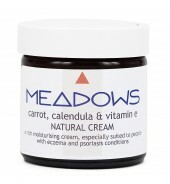 Within our creams all colours come only from the colours contained naturally within each oil and the richest being beta carotene in carrot oil which adds an orange tint to some creams. Some companies mislead consumers slightly by labelling or displaying colours as ‘food grade’, this doesn’t always mean they are natural (although they could be) as they are probably derived synthetically and often from some unsavoury sources, such as, coal or tar etc. Our Vitamin E is the one sourced from nature rather than the synthetic version derived from crude oil which is often used commercially. 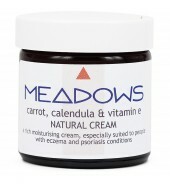 Natural Vitamin E has been proven to be absorbed and utilised by the body better rather than the synthetic type which has a different molecular structure but is still used and labelled as vitamin e. All our creams contain this natural, plant derived Vitamin E.
All our creams are carefully hand made at the lowest possible temperatures and are mixed and poured by hand. 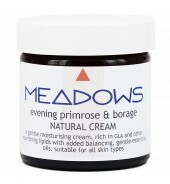 60ml of cream comes in an amber glass jar with white screw lid. Larger quantities (ie, 500ml, 1 litre) are in white plastic containers with white screw lids.